Free download option for the Important Numbers Printout Seen in photo 🙂 Australian numbers featured here. It is an A5 size 210mm by 148mm Check out Sarah Hunstead’s Facebook Live on talking to your children about emergencies (and preparing for them with your babies and children) here, The fully printed version is available for purchase here. Cards with encouragement to pass out. 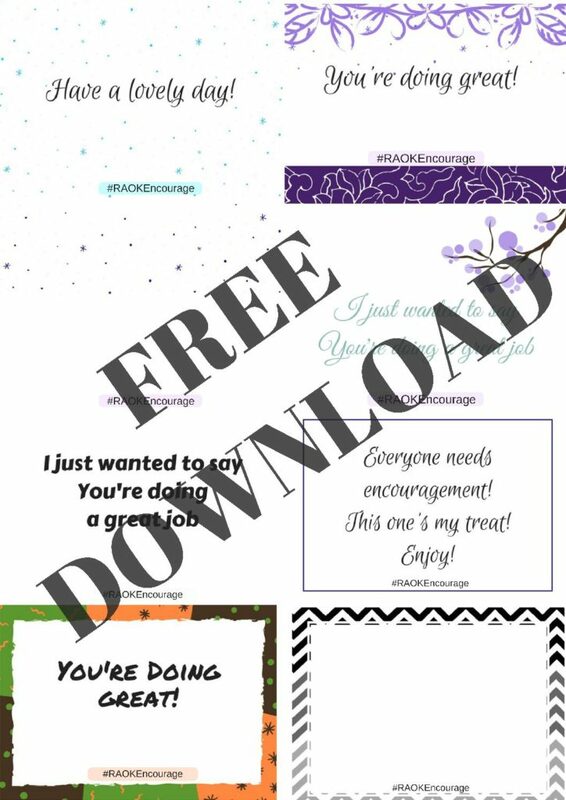 Print these and cut them to have ready to encourage any passers-by…make someone’s day! This set includes encouraging words for a better day.